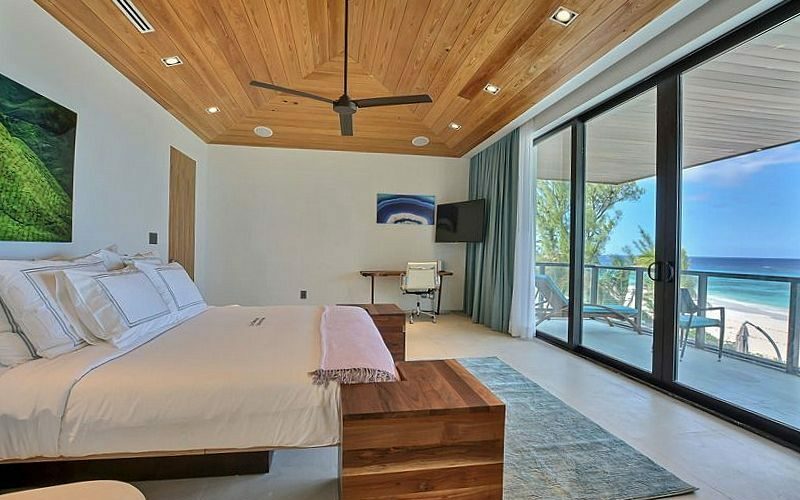 The master bedroom takes up the entire top floor of the villa. 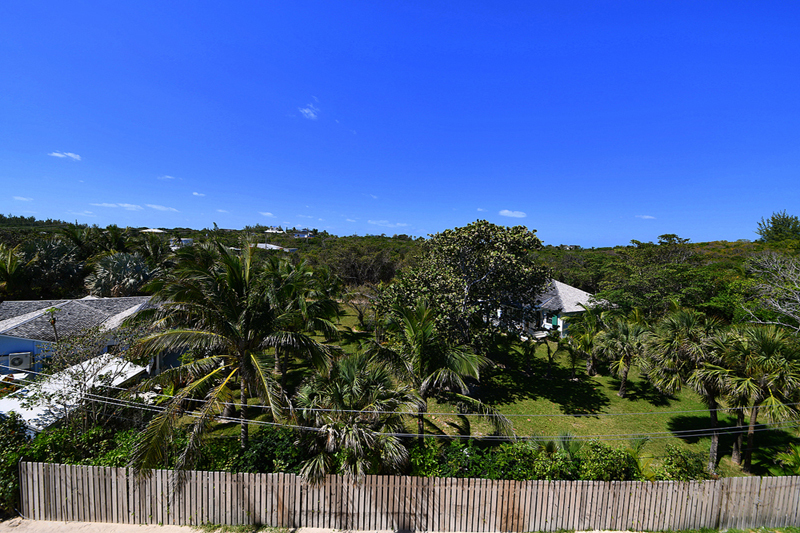 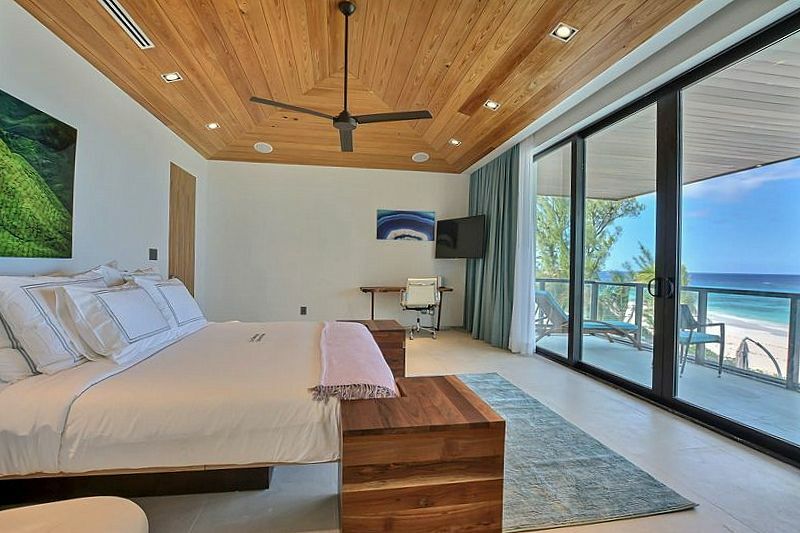 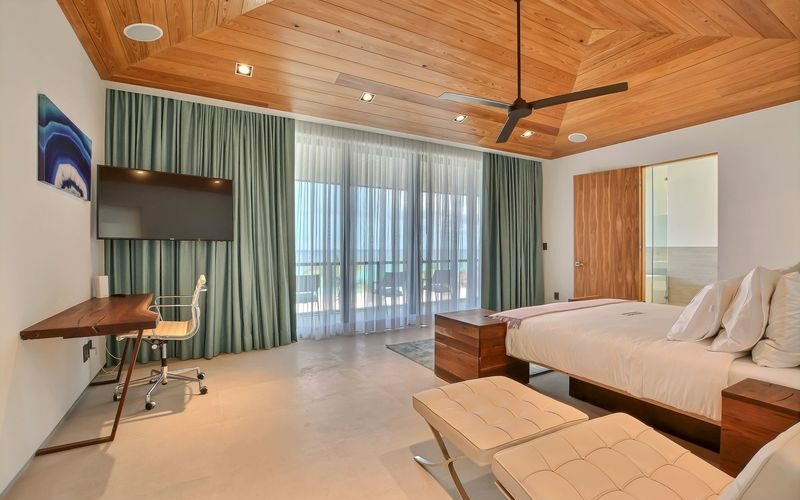 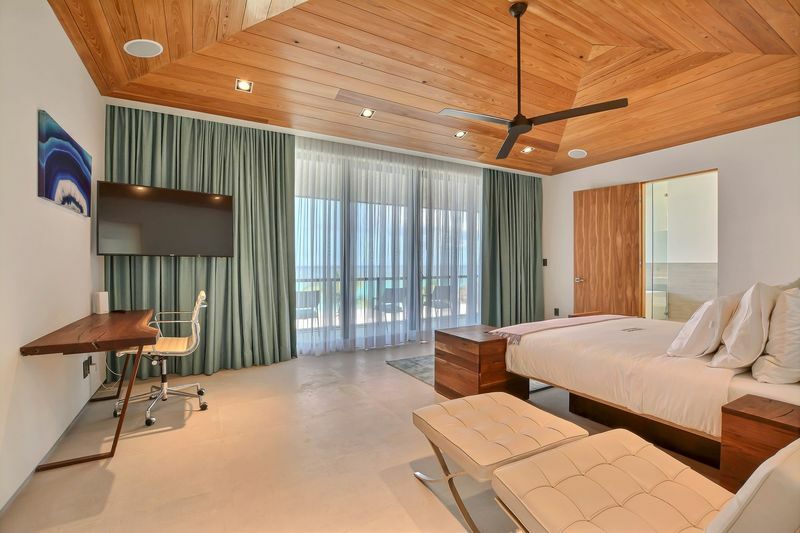 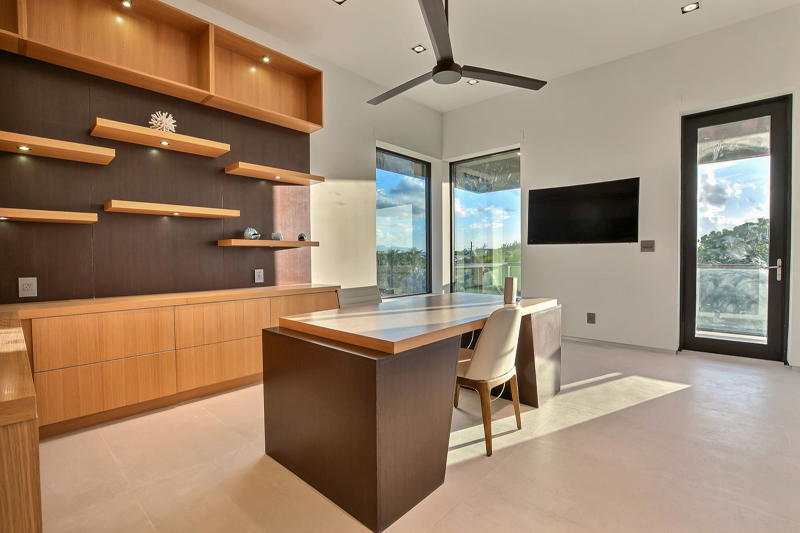 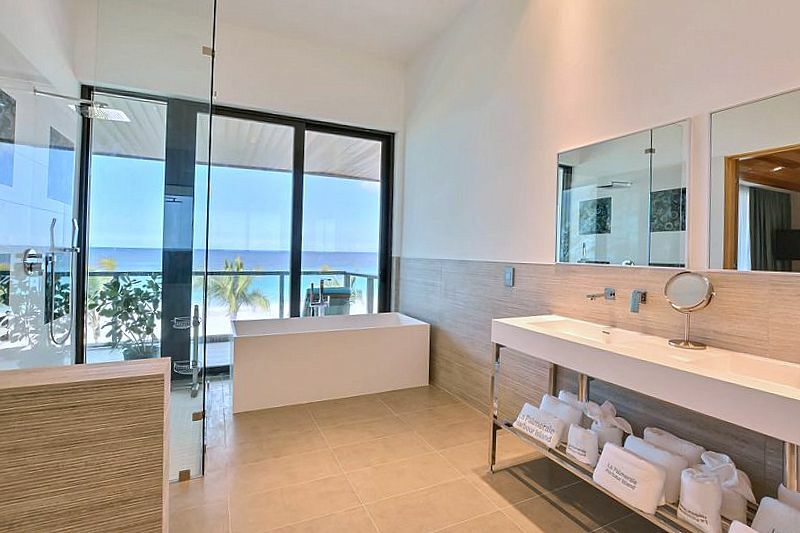 The bedroom and bathroom are on the east side and both have direct views of the ocean. 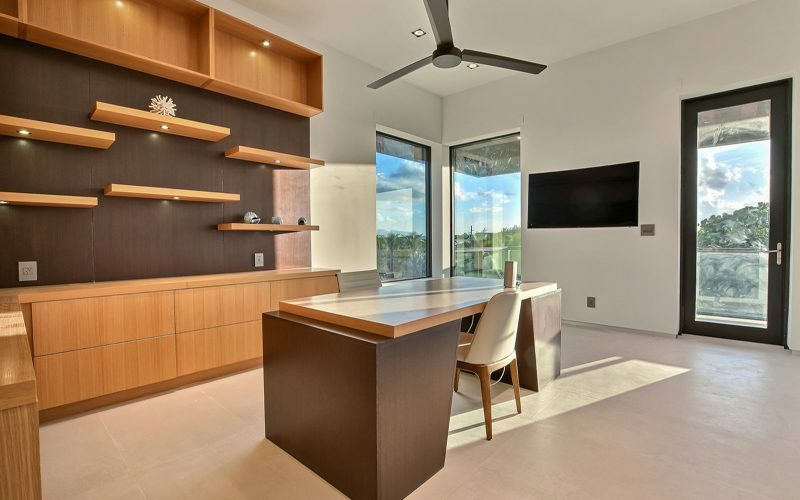 On the other side is a a large walk-in closet and office. 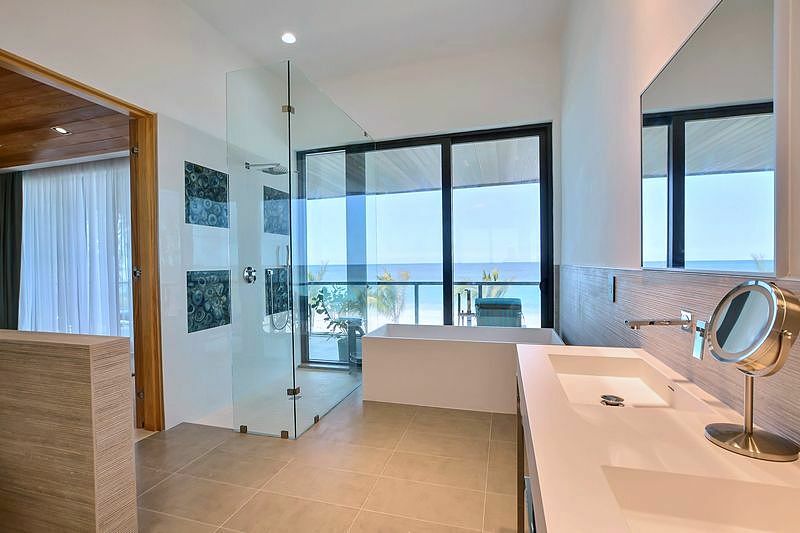 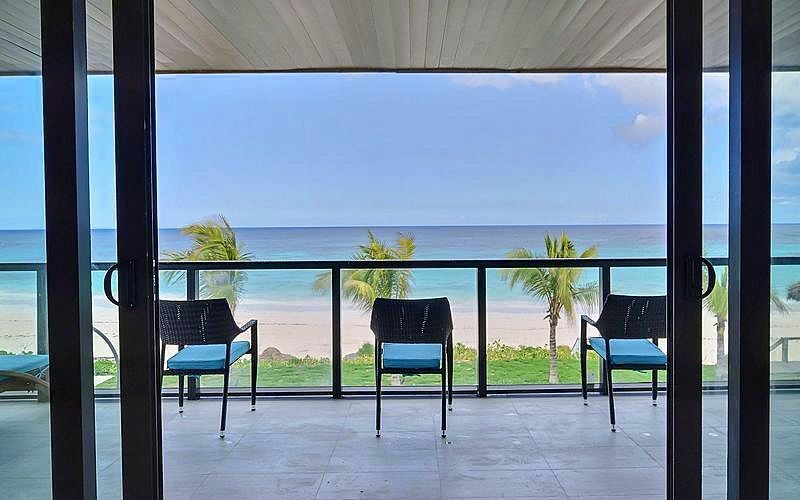 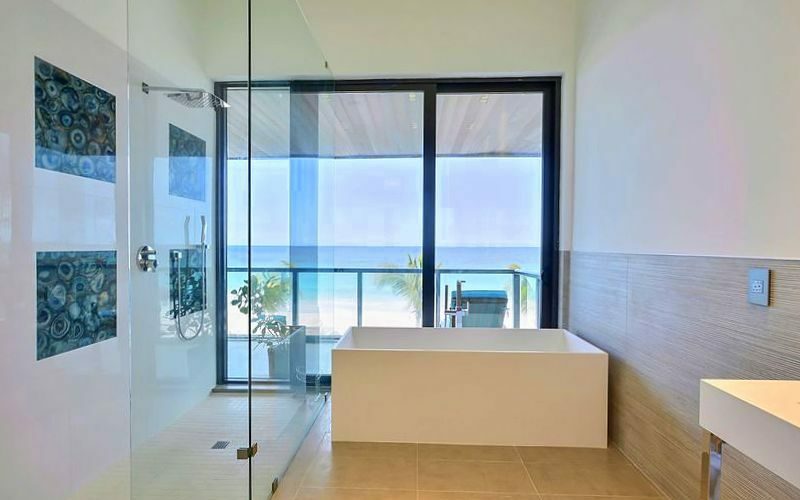 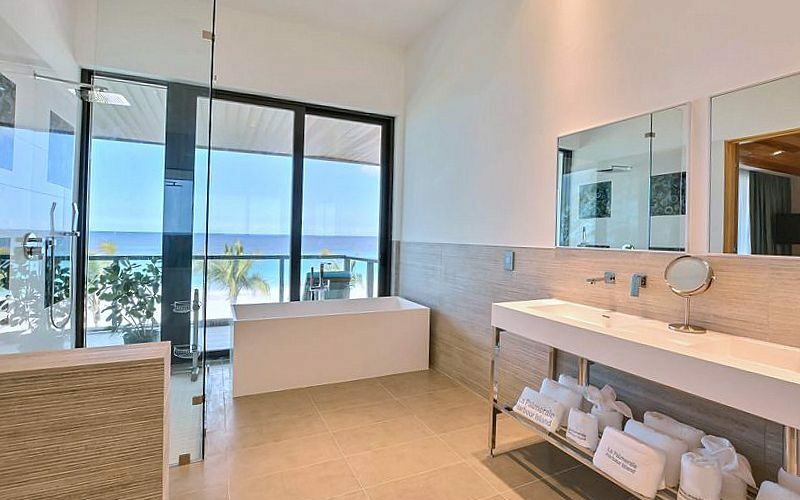 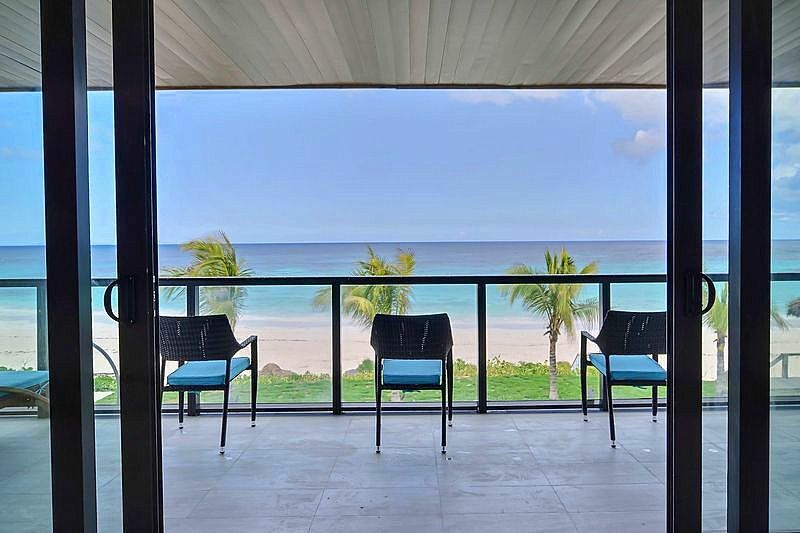 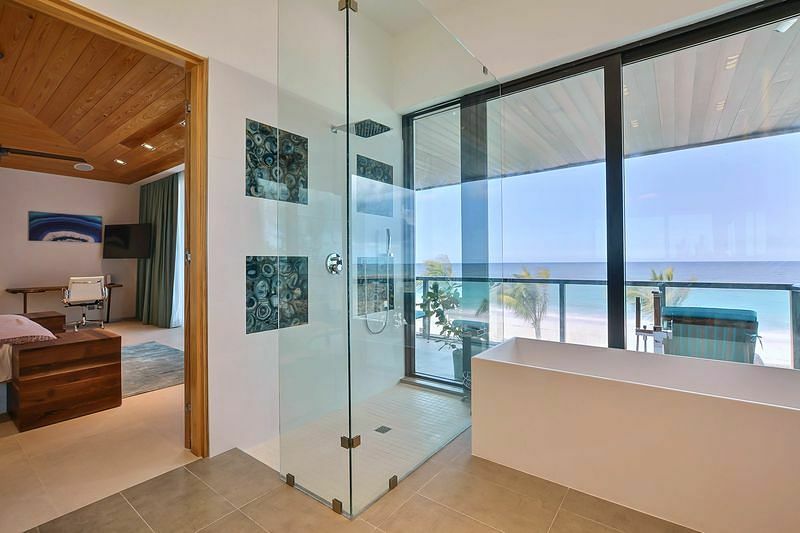 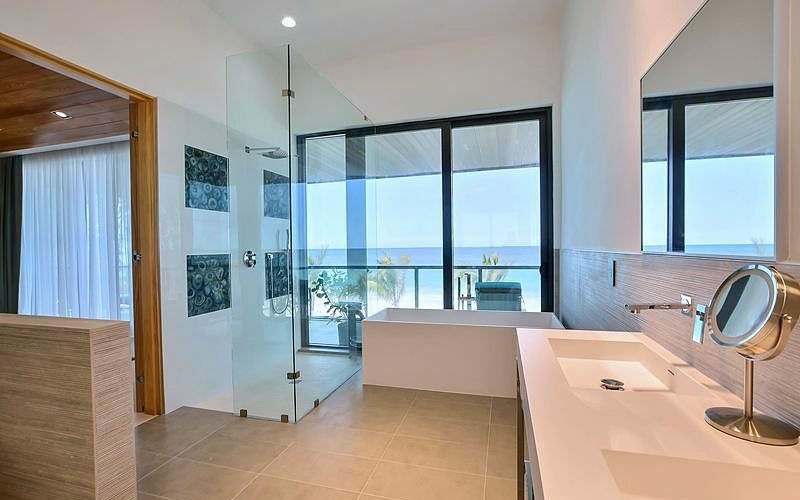 Enjoy direct ocean views from the master bathroomtakes up the entire top floor of the villa. 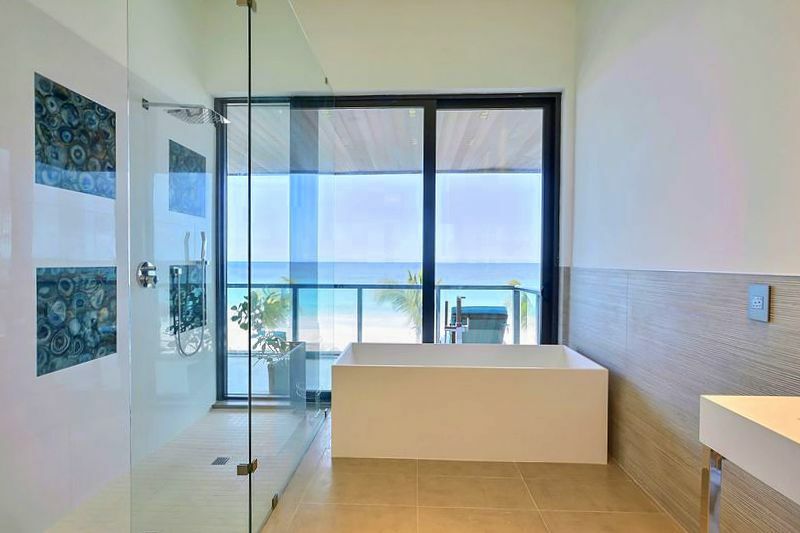 The bedroom and bathroom are on the east side and both have direct views of the ocean. 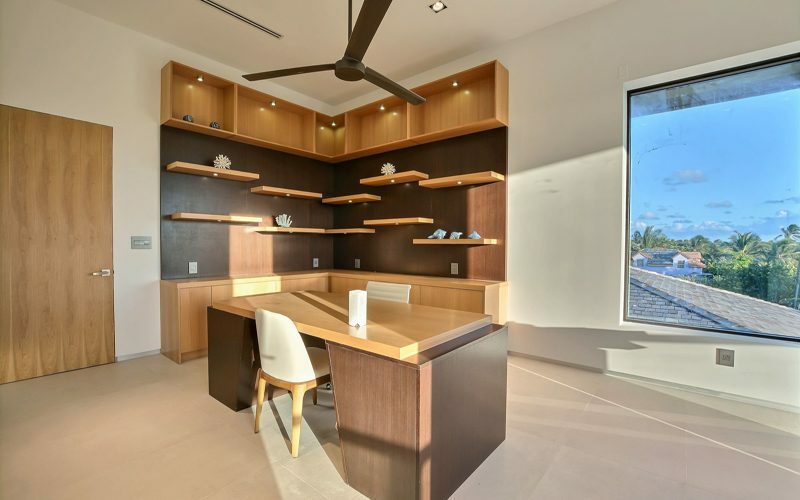 On the other side is a a large walk-in closet and office. 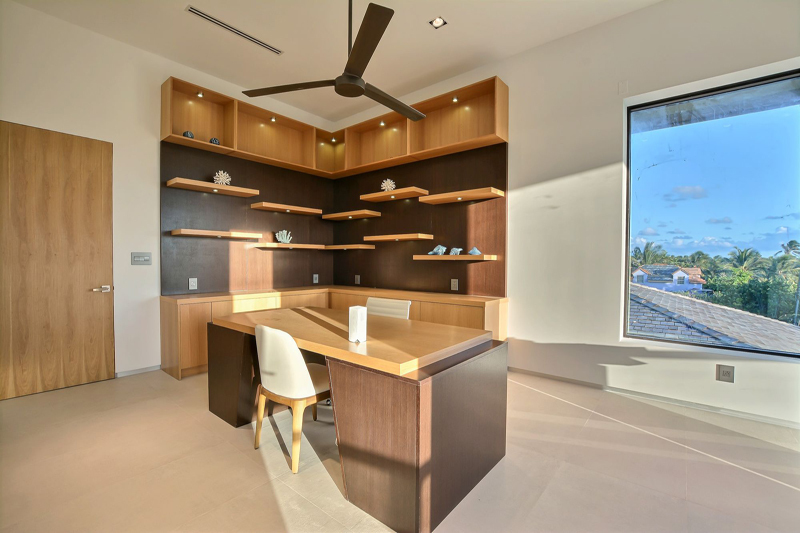 The business office, also located on the top floor, has large windows and a glass door that leads to the private balcony .